Repair just about anything, from the dreaded phone charger lead that splits, to glasses, to car keys that have broken and will just not stay on the key ring. 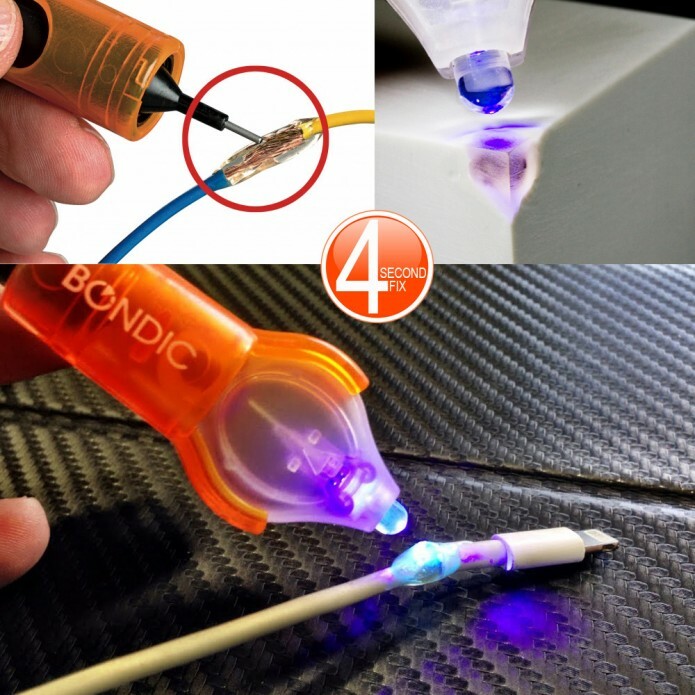 You name it you can do it or should we say Bondic can do it, this will certainly revolutionise the way you repair things and also what you repair. Refills are readily available and once you realise the magic of this you will need them.